Powdered collagen + keratin and zinc - Natural dermocosmetics and dietary supplements. Collagen creams. Take care of your hair with keratin rejuvenation and make them look healthy! 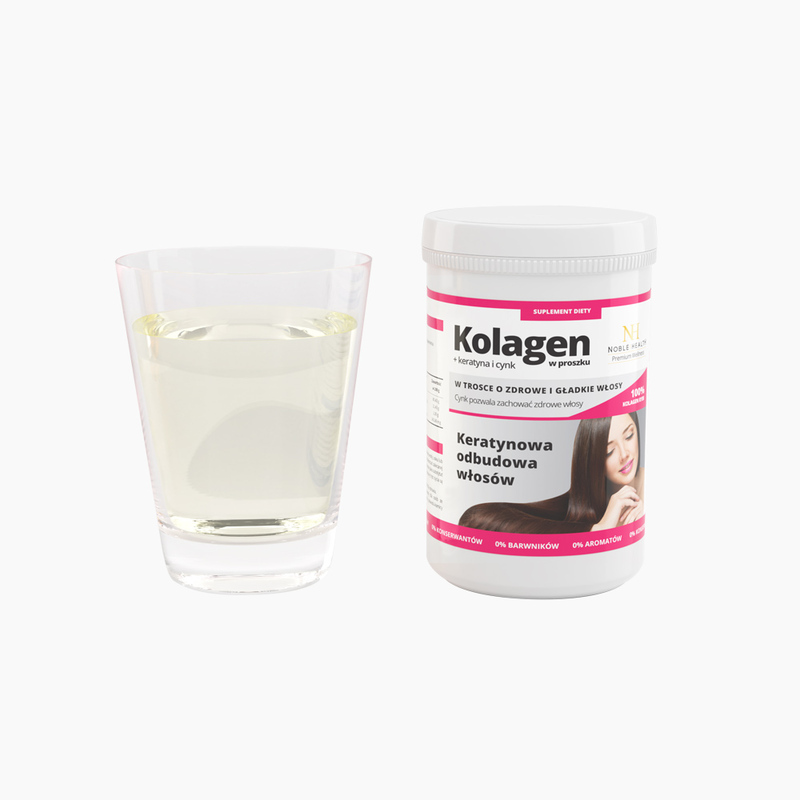 Add Powdered collagen + keratin and zinc to your favourite drink! Marine fish collagen, which odourless and tasteless. Vitamin C stimulates the proper production of collagen to maintain proper skin functions. Zinc helps maintain healthy hair, skin, and nails. The product is free of preservatives, colourants. A unique product enriched with keratin - that you can add to a drink, cocktail, or even juice. Ingredients: marine fish skin collagen, L-ascorbic acid (vitamin C), zinc gluconate (zinc), hydrolysed keratin, natural lemon aroma, sweetener: sucralose. 1. Who should use Powdered collagen + keratin and zinc? This product was created for people who want to take care of their looks and have healthy hair. You can dissolve the product in your favourite drink and enjoy its taste. 2. What is the composition of Powdered collagen + keratin and zinc? 3. What are the product's properties? Zinc helps maintain healthy hair, skin, and nails. Vitamin C stimulates collagen production to maintain proper skin functioning. 4. 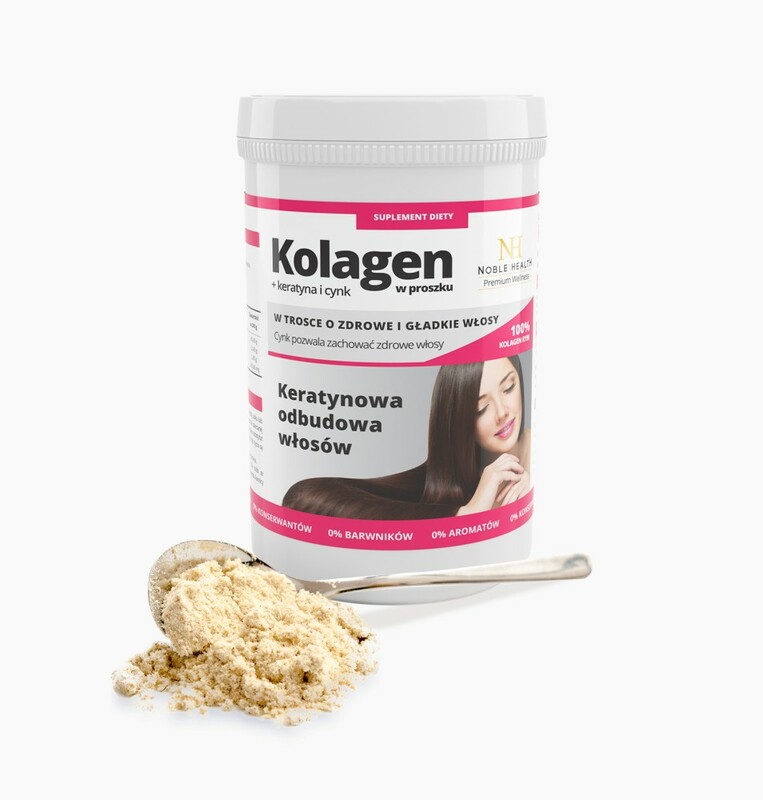 How to use Powdered collagen + keratin and zinc? Dissolve 2 flat teaspoons in a lukewarm water, juice, or your favourite drink. You can also add to a yoghurt or a cocktail. Do not exceed the recommended daily serving. Food supplements should not be used as a substitute for a varied diet. A balanced diet and a healthy lifestyle are essential for maintaining good health. Consumption of the recommended daily serving provides beneficial health results. The product contains a high amount of vitamin C. It is not recommended for people suffering from kidney stones. The product contains a sweetener - sucralose. 5. How to use the product? The product should be stored in a dry place at room temperature. Keep away from small children. Remember that vitamin C is sensitive to light and high temperatures. 6. 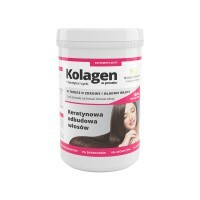 What is the form of collagen and keratin in this product? 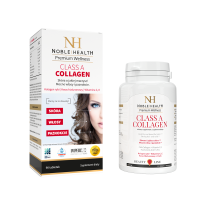 Both collagen and keratin are in the form of hydrolyzate. 7. What is the expiry date once the Powdered collagen + keratin and zincis opened? Product should be useed within 30 days after openining it. 8. What is the net weight of the product? The nett weight is 100 g.
9. 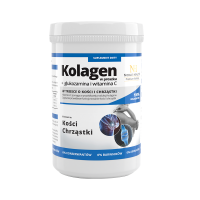 What is the size of the collagen molecule in the product?